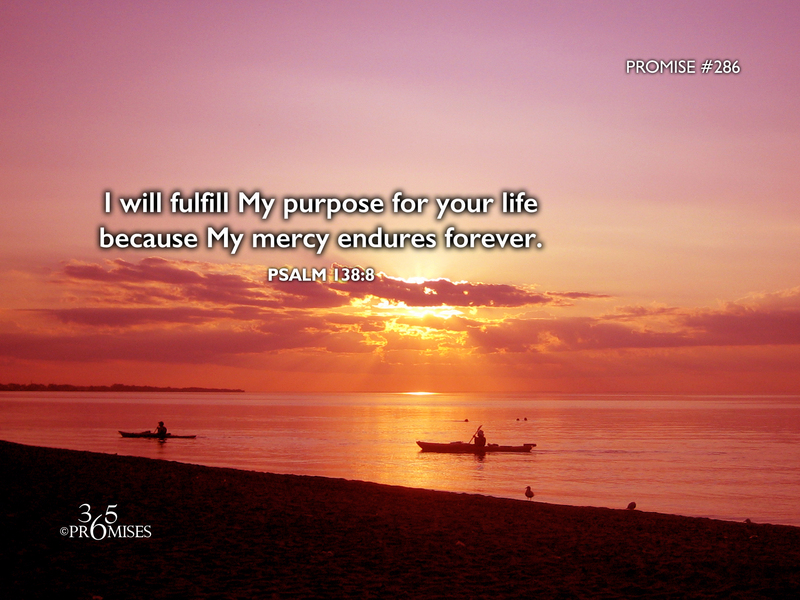 I will fulfill My purpose for your life because My mercy endures forever. your loving kindness, Yahweh, endures forever. Don’t forsake the works of your own hands. In this psalm, King David makes the declaration that God will fulfill His purpose for his life because His great love endures forever. David knew full well that God would not abandon Him or forsake the work of His hands. The NIV Bible says it this way... The LORD will fulfill his purpose for me; your love, O LORD, endures forever— do not abandon the works of your hands. God has a purpose for your life. In His unending, eternal love, He formed you with His own hands and He promises to never leave you. It is reassuring to know that God has a unique plan for each of us that He has promised to fulfill. Sure there are many bumps and bruises on the road to our destiny, and at times we can get side-tracked. But if we have entrusted our lives to the living, loving God, we can rest in His promise to take care of us and all of the dreams we have hidden in our hearts. David was confident that the LORD would fulfill His life's purpose because God's mercy endures forever. May we all have the same confidence in our God and Father today. God will fulfill His purpose for you for His love endures forever!